« Did Rickey Henderson Really Frame His First Million Dollar Check Rather Than Cash It? BASEBALL URBAN LEGEND: A pitcher once was both the winning pitcher as well as the losing pitcher in a baseball game. Back in the 2009 season, Joel Hanrahan of the Pittsburgh Pirates received his first win of the season…in a game between the Washington Nationals and the Houston Astros! 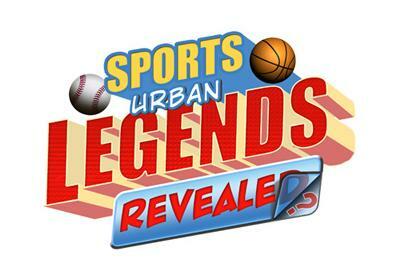 You can read this past edition of Baseball Urban Legends Revealed to get the specifics, but suffice it to say that it involved a suspended game and a trade. However strange Hanrahan’s situation was, though, Mexican League pitcher Mauro Ruiz did Hanrahan one better in 1963 when he somehow managed to be both the winning and the losing pitcher in a game! Read on to learn how this strange occurrence took place. Mauro Ruiz burst on to the Mexican baseball scene in 1959 with a great performance in the 1959 Pan-American Games where Ruiz’s pitching was one of the highlights of an otherwise poor performance by Mexico in the tournament. Mexico won three games in the tournament and Ruiz was responsible for two of them. He started his career in the Mexican League in 1960 with the Tigres del México (who were based in Mexico City). The Tigres won the Mexican League championship that year and Ruiz was the Rookie of the Year (at the time he went by the name Mauro Ruiz Rubio). He continued to have success in the next few seasons. In 1963, he was pitching for the Tigres when they hosted the Pericos de Puebla in Mexico City. Ruiz started the game for the Tigres, but a short circuit in the top of the fifth inning caused the game to be suspended. Mexican League rules at the time held that any suspended games would be made up at the end of the season. In the ensuing weeks, Ruiz was traded from the Tigres (who were falling out of the pennant race) to the Pericos (who were in the thick of the pennant race). The Pericos ended up taking the Mexican League title in 1963, giving Ruiz his second Mexican League championship. But before that could happen, the Pericos and the Tigres had to finish their earlier game and they did so, in tremendously bizarre fashion. When the power went out in Parque del Seguro Social (where the Tigres played their home games for over forty years), the score was 3-2 in favor of the Tigres. However, the Pericos had two runners on base. When play resumed, a Pericos player singled to left field, scoring both runners. So now it was 4-3 Pericos. And the pitcher responsible for those two runners? Mauro Ruiz. So if the score held, he would be responsible for the loss. Now leading the game, the Pericos brought in to pitch none other than Mauro Ruiz himself. He proceeded to hold the Tigres down for the rest of the game, resulting in a 4-3 Pericos victory. Since the Pericos’ original starting pitcher did not pitch the five innings necessary for a victory, the first reliever to follow the starting pitcher gets the victory. That pitcher was Ruiz. So Ruiz amazingly enough both lost the game for the Tigres and won the game for the Pericos – a feat that is unlikely to be achieved in any professional league any time soon. Ruiz played for Puebla for another three seasons. He was retired as a professional baseball player by the beginning of the 1970s. He took up coaching and even ended up as the manager of the Tigres del Mexico in 1982, leading them to a winning season in his only year as their manager. Ruiz passed away in 2007. Here is an article by Francisco Saenz Sandoval celebrating Ruiz’s career (it is worth noting that in Sandoval’s telling of the story, the game between the Tigres and the Pelicos had to be played because the two teams ended up tied for the pennant at the end of the season I don’t believe that to be the case, at least not according to the Mexican League standings for 1963 that I’ve found). 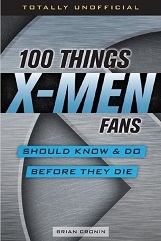 Thanks to reader Juan Rivera for suggesting that I spotlight this legend. Feel free (heck, I implore you!) to write in with your suggestions for future installments! 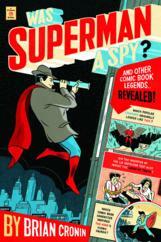 My e-mail address is [email protected] And please buy my book, “Was Superman a Spy? 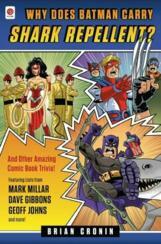 And Other Comic Book Legends Revealed! here. This entry was posted on Saturday, June 9th, 2018 at 1:40 pm	and is filed under Baseball Urban Legends. You can follow any responses to this entry through the RSS 2.0 feed. You can leave a response, or trackback from your own site.